Date nights are usually made for dressing up, but I decided to switch it up. For some reason or another my husband loves when I go casual. I think he just wants what he usually doesn't get. Just like a man...LOL. Anyways, I've been on the quest for denim for a couple reasons. One, you guys always ask me about it and I just don't have a lot of experience buying denim. I want to step up my game, so I can have some insight. Two, I am really working on my casual game. 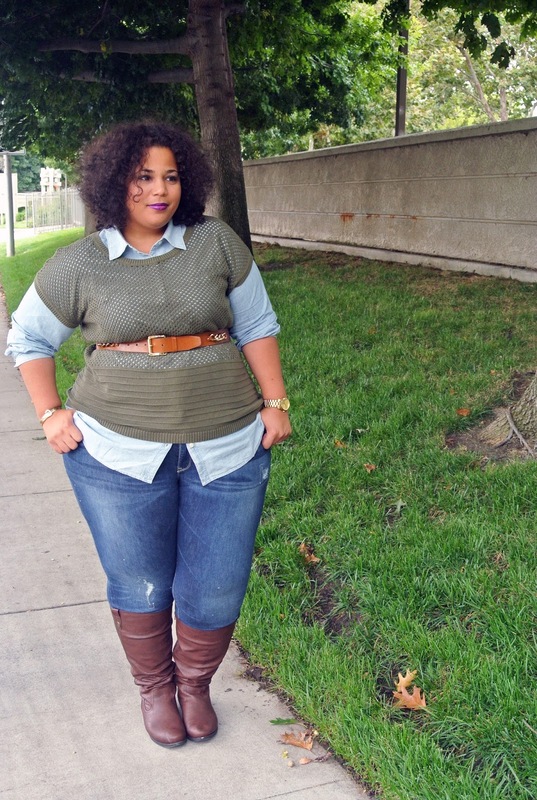 This post includes an entire look from Old Navy. They invited me to partner with them on a post. I thought it was the perfect time to revisit their denim. I used to buy their jeans a few years back when I was a bit smaller and loved the fit then. My main love of the fit is the fit of the waist. I hate that "gap in the back" that come from having wider hips and a smaller waist. It can cause you to be tugging on your clothes and pulling up your jeans the entire night. These jeans fit snugly around my waist and probably the best waist fit that I've worn thus far. I often get the question from women size 24+, where they can find clothes. A lot of brands just go up to a 24 and there is a large group of women that are sized out. Old Navy goes up to a size 30. Ladies make sure you note it and file it away in your shopping directory. 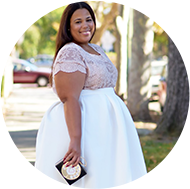 Oh and to our Canadian neighbors to the north, Old Navy Plus Sizes are now available to you too, but you must visit the Canada specific site to place your order. Style Note: Don't expect a tremendous amount of stretch in these jeans. You need to get your true size. Use the size chart and go from there. Denim shirts are a must have in any girl's wardrobe. I'm loving this one, there is no stretch and I wanted it to fit my hips, I bought a 3X. I know you guys are like, "Boots in August." Well around here people wear boots all year long. I thought it was close enough to September for me to get in on the fun and a great time to provide some Fall inspiration. It's already time to be on lookout for your next pair of boots, all the good sizes sell out quick when Fall really gets underway. Post sponsored by Old Navy. All thoughts and opinions are my own. You look ready for fall. Beautiful! You look so cute and I LOVE your lip color. You're fall ready for sure! Cute!! Because I'm such a casual dresser, I might have to re-create this look next month (it's 90 degrees in Minnesota right now). This outfit makes me long for Fall. Boots are the best thing about Fall for me!! OMG I love your boots ! Looks great! I can't wait for fall!! Do you know of any stores that sell boots for wide calves? I have tried some on at Lane Bryant and my calves are too big for the ones I've tried...I don't know if that just means I'm out of luck with finding a pair of boots to fit my fat calves or if there is somewhere else out there that may have them. The calf widths vary from store to store. Torrid sells a little smaller, but check a DSW or a Nordstrom their wide calf boots are on the smaller side. Samantha, girl, you have to checkout www.duoboots.com. I have a pair from them that I absolutely adore! The upside? They come in 21 calf sizes. Just discovered your blog! And, I spent an hour reading past posts! Can't wait to keep reading! Chastity, super cute outfit!! I'm glad you're venturing out to the casual side. I was just telling my friend today how much Old Navy has stepped their game up. And yes girl, we wear boots year 'round here in the Bay. Matter of fact, I had my Duo Boots pair on on Saturday! Love this look! Old navy is one of my favs! I just found your blog today! You look gorgeous, I love this look. 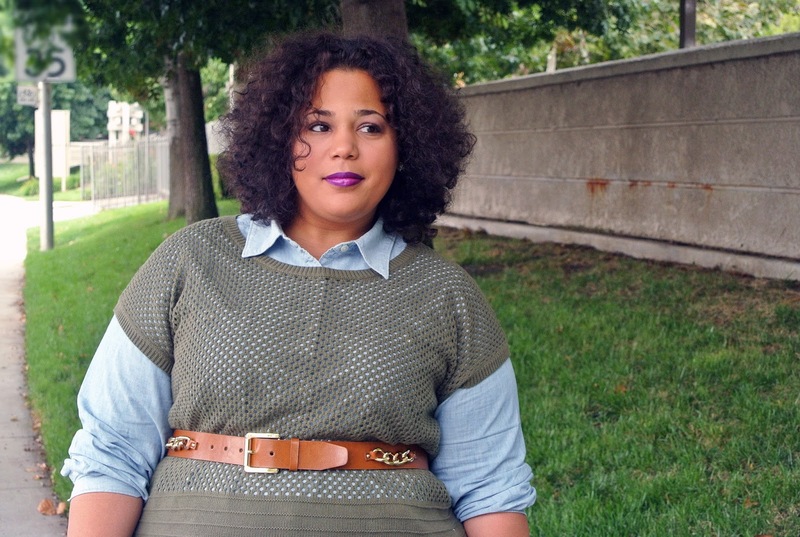 I've been a fan of Old Navy for awhile but haven't really tried the plus size line, I wish they were in the stores so we could try on the clothes in person. However, I think it is amazing that they have a lot of the similar styles in plus size and that they go up to a size 30 - all women deserve to have beautiful clothes they feel amazing in. OMG! I love your style and would like to capture it by using this Old Navy Gift Card!!!!!! 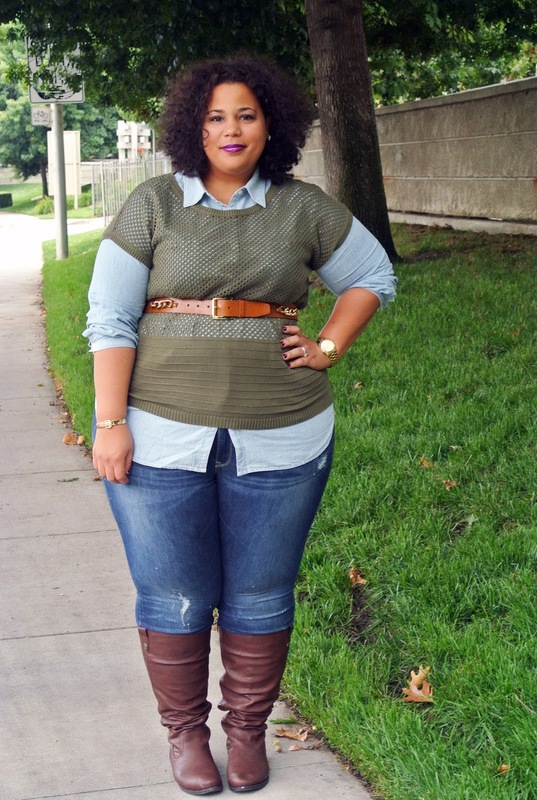 Old Navy jeans are the only jeans that fit my plus size frame. It's so hard finding jeans for a petite plush size girl and Old Navy makes me feel just like everybody else!!! I love casual items, LOve that you expirimenting with casual. Looking good. Excellent look! I hope old navy gave you a good deal on something because I am totally going to buy jeans from them now! I lost weight a few years ago and gained it all back. The hardest thing for me is finding jeans that fit! I'm definitely ordering from them now! Can somebody shw me where i can find this PRETTY CHABY Beaty?